You'll be delighted with this Dill Caper Hollandaise Sauce! This restaurant sauce recipe is an easy variation of the classic Hollandaise Sauce recipe, but it provides a really delicious blend of flavors. Enjoy this restaurant sauce recipe over a Seafood Benedict or a Seafood Omelet or even drizzled over roasted vegetables. I especially like this dill-caper variation with wild salmon and halibut. Preparation time: 20 minutes. Serves: 6-8. 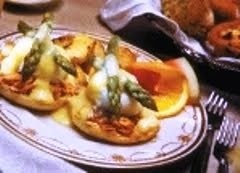 Enjoy this restaurant recipe for the Dill-Caper Hollandaise Sauce and each of the restaurant recipes on the website.